What better way to spend the school day than by literally jumping for joy! 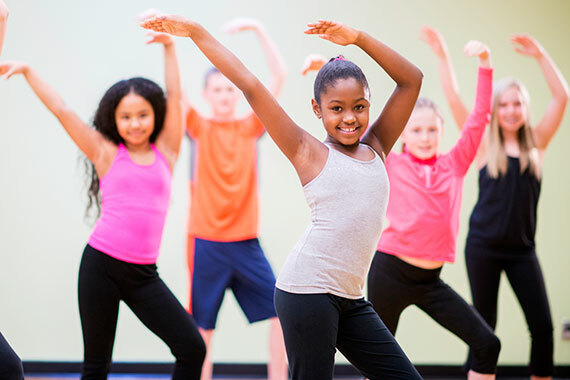 Dance related exercise provides each student a physically creative outlet that improves posture and builds self-confidence. Numerous studies show that Dancing promotes the growth, maintenance, and plasticity of neurons necessary for learning and memory. Village Dance students learn that when the team wins, we all win! Dance is a great way for kids to be a member of a team that has a shared creative goal. R&B ‘n’ Hip Hop dance is an awesome class that combines the very best of these high energy super fun dance styles. Each class introduces age appropriate dance steps in a fun, supportive, everybody has a blast class. No experience necessary. This fun-packed class allows children to explore new countries while dancing to popular songs and infectious rhythms from across the globe. Children discover new people and places while learning indigenous dance moves and rhythms from far-away places. Every class features a new and exciting destination where children are introduced to a country and its culture! 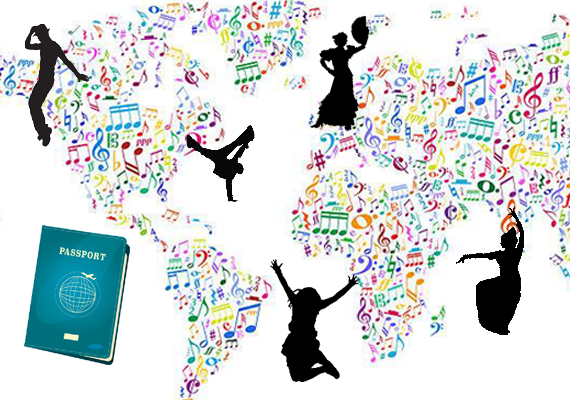 Each week our dancers receive a stamp in their Village passport marking their visit to a new land!